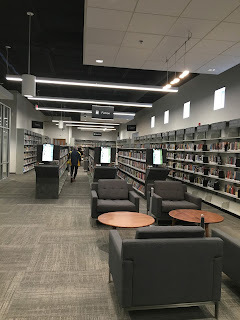 I love libraries! 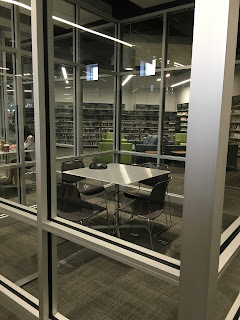 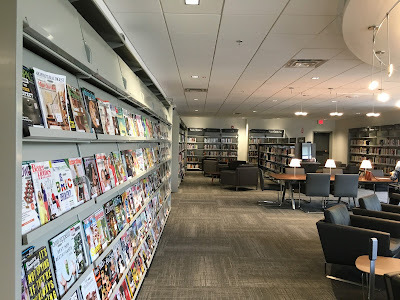 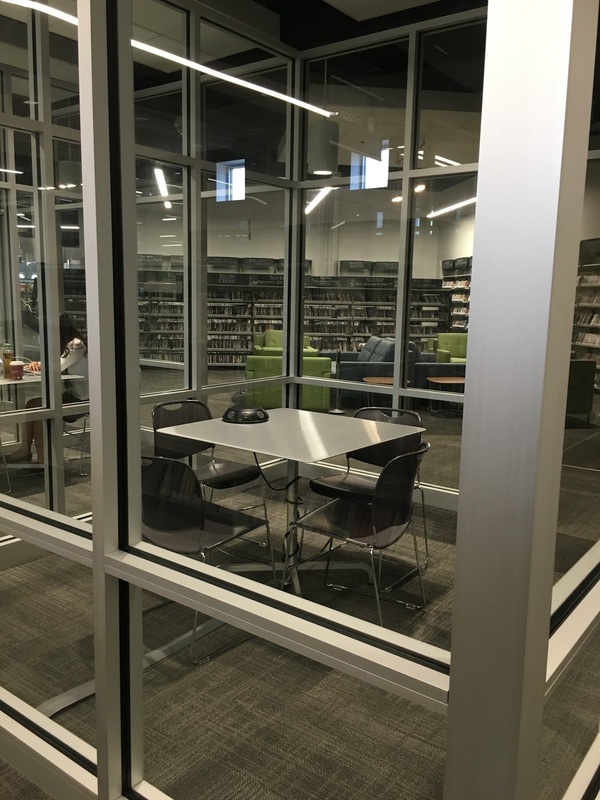 For many years, I have been driving to the Pittsfield or Traverwood branch of the Ann Arbor District library, because I was drawn to the wonderful architecture and ambiance of those branches. 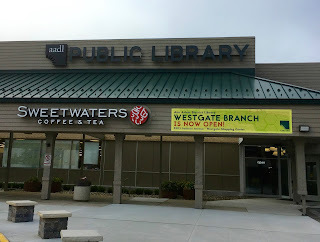 Now that the new Westgate branch is open, I decided to stop in and check it out. 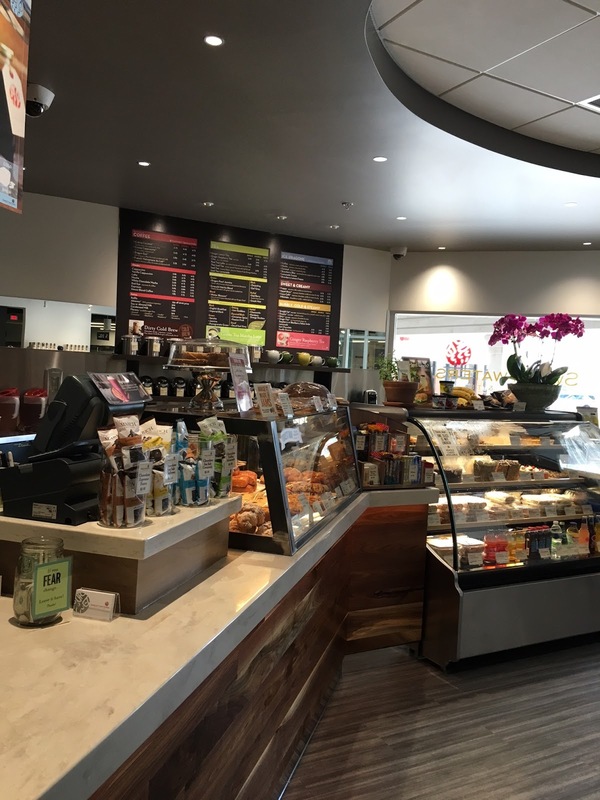 Tucked behind this non-assuming store front, is a new, spacious and inviting space. 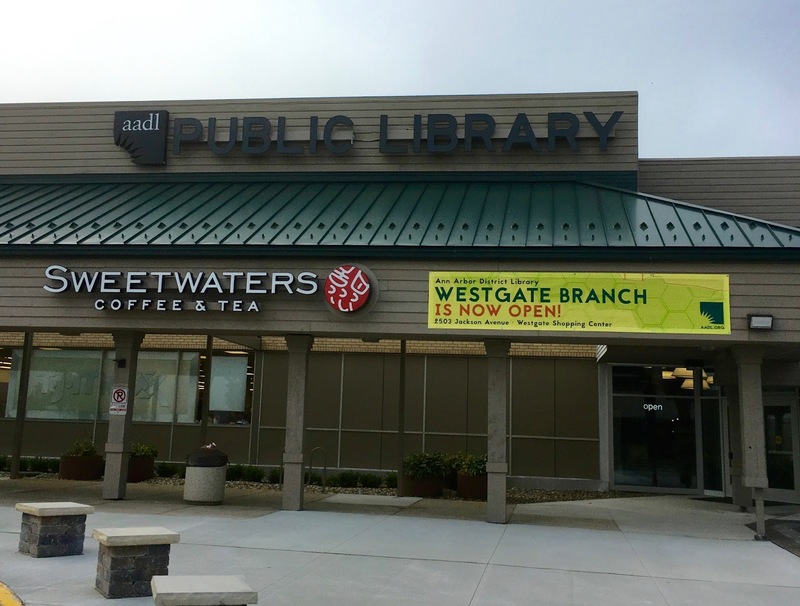 And as a bonus, this branch also has a brand new Sweetwaters Cafe! 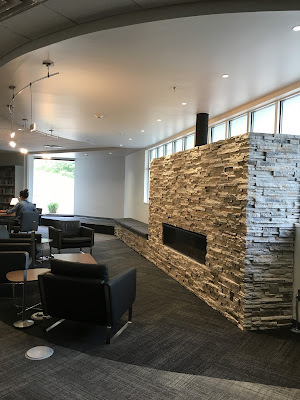 Great lighting design, even in spaces without daylight.